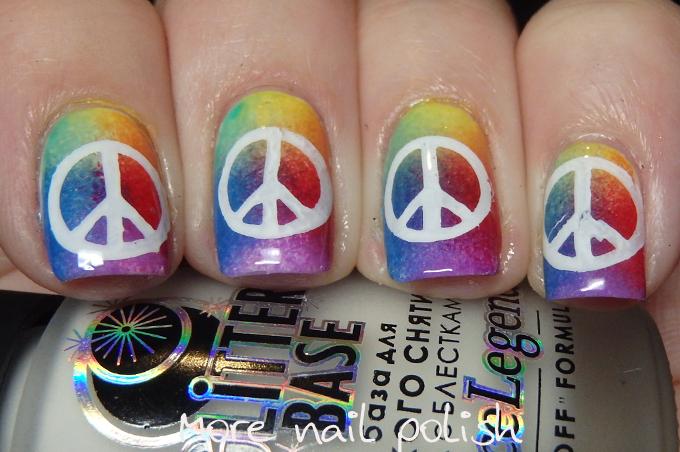 What a random theme we have this week for the 40 Great Nail Art Ideas Challenge, Hippie/Festivals. Now I'm not really a festival type of girl, in fact I have never attended a music festival. I've attended other sorts of festivals, like the city's multicultural festival and food festivals, but I'm not sure that they count. 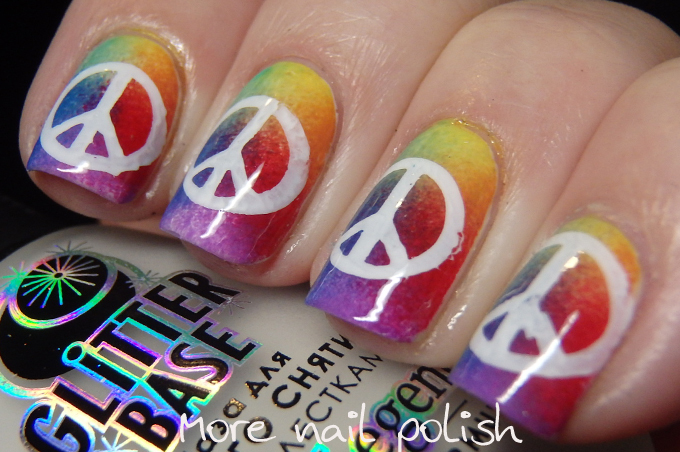 So instead I stuck with the hippie theme, and for me hippe = 60's tie die, peace and love. 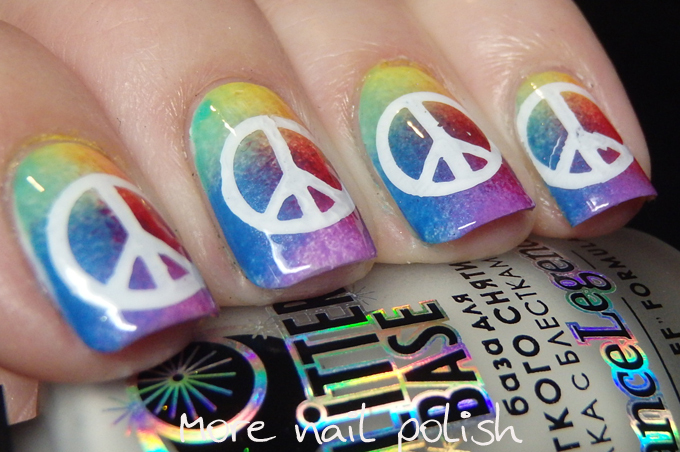 So I ended up with these sponged rainbow nails with a white stamped peace sign. I actually loved this and it was commented on a LOT! Yes, hippie! I like this colorful design. Did you made it by yourself? 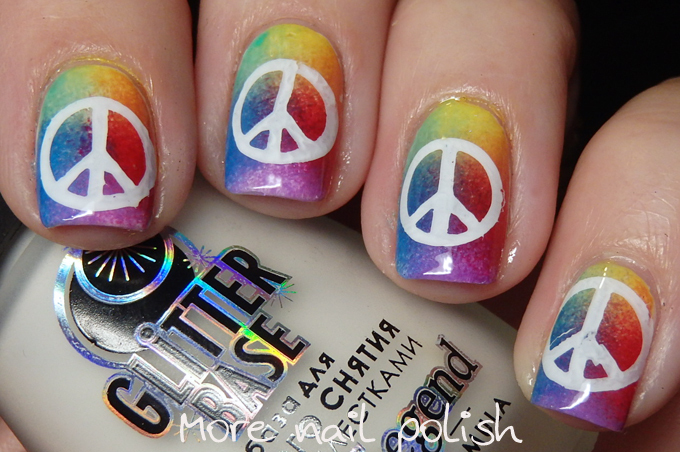 I often draw some interesting ideas of colorful nails from http://nailartstyle.com website. I am waiting for new designs from you!